Round two of the Wellington league hosted by the Southeast Road Club saw improved weather conditions on Saturday last. The dry weather conditions helped to bring twenty two competitors to the start line to take the 15.5Km TT route. While it remained dry, wind conditions were a factor especially on the return leg. After round two Bray wheelers maintain their grip on the Wellington TT league. Brendan Buck from the North Wicklow cycling club crossed the finish line first with just one second to spare over fellow club man and league leader Joe Sheehy. Sheehy continues to fly the flag for Bray Wheelers holding on to top spot after collecting ten points to bring his total after two rounds to twenty two, four points ahead of Brian Cullen of Rossbury, Cullen sits in second place over all with eighteen points with Denis McCarthy (Slipstream) retaining third place with fifteen points. So with two rounds remaining it’s all to play for the over all title. 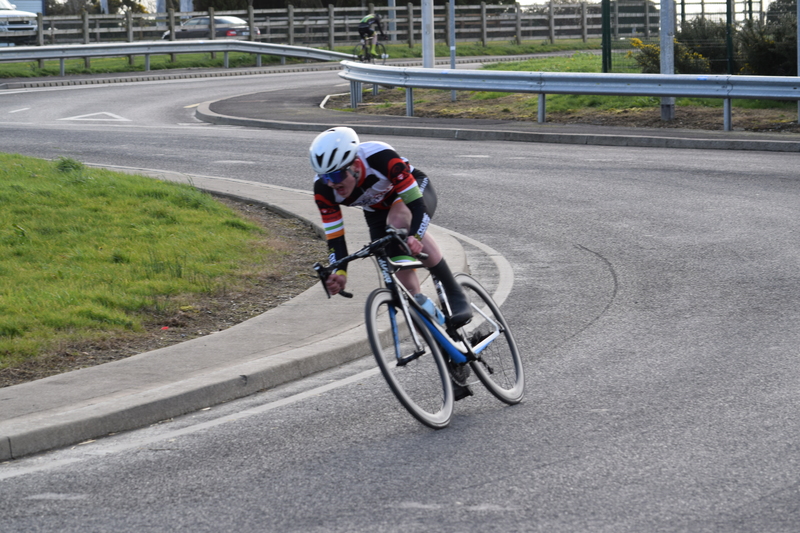 Southeast Road Club were delighted to see four under sixteen cyclist compete along with Fethard-on-Sea handcyclist Seamus Wall from the Wexford based Barrow cycling club. Once again these event cannot take place with out volunteers who give of their time to marshal the route. Southeast Road club would also like to Thank Travers & Co Insurances Ltd, Martin Lynch bus hire and Arklow Motors Factors for their continued support.